Spoon frosting into medium bowl; stir in enough food color until desired green color. Frost cupcakes with frosting; sprinkle with colored sugar. 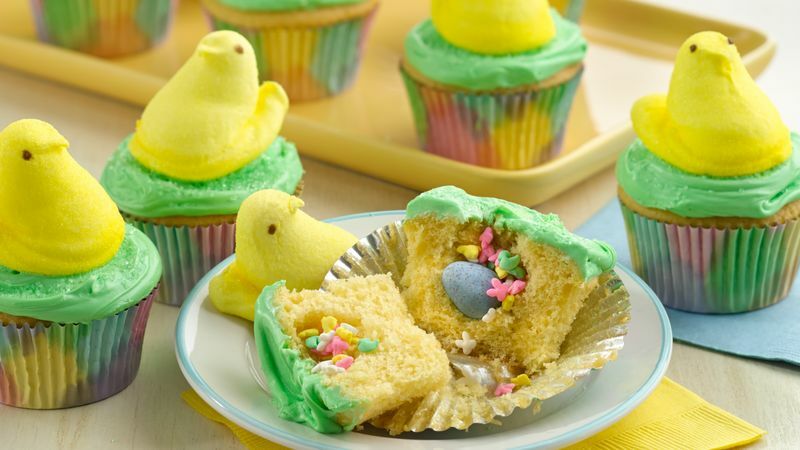 Top with yellow PEEPS® chick. Store loosely covered.